Playoff structure varies for a division, depending on the number of teams in that division. CLICK HERE FOR PLAYOFF STRUCTURE DETAILS. The league year is divided into 3 sessions – summer, fall, and spring. Summer is the first session of the league year. Teams compete throughout the year for a chance to make it to the Northern Nevada APA Championships - A World Qualifier Event (formerly called LTC’s). At the Northern Nevada APA Championships, the best 8-Ball and 9-Ball teams from Reno/Sparks, Carson City, and surrounding areas compete for a spot at the APA World Pool Championships in Las Vegas. The Northern Nevada APA Championships take place in May/June. The winning team(s) at the Northern Nevada APA Championships receive travel assistance (money) to help fund their trip to Las Vegas. The APA World Pool Championships takes place in August. At the APA World Pool Championships, teams compete for a total purse of over $600,000.00. This is the coolest and most exciting tournament in amateur pool! In sum, teams have 3 chances to “qualify” for the the Northern Nevada APA Championships – summer, fall, and spring. The 9-Ball event is generally a 3-day event. 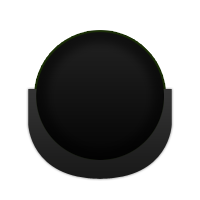 The 8-Ball event is generally a 4-day event. See Web Calendar for details. All players on a qualified team must have 6 matches played in the spring session, along with 10 matches played in that format before the end of the spring session. Qualified teams must place in the top half of their division in the session(s) following qualification; teams who fail to do this are subject to heavy scrutiny of their handicaps and/or loss of eligibility. You must have at least 4 original players on your team from the session in which your team qualified. Your spring roster is your Northern Nevada APA Championships roster. Your team must remain active from the session you qualified. Players on qualified teams must remain active on a summer roster leading up to the Northern Nevada APA Championships and the APA World Pool Championships. Additional requirements are outlined in the Official Team Manual. Teams are responsible for reading and understanding this information. The number of teams Northern Nevada APA gets to send to the World event (in both 8-Ball and 9-Ball) depends on the total number of teams in our region. More total teams = more teams we get to send to the World events. For a list of qualified teams, click on "Qualified Teams" in the left margin. As the league continues to grow, Playoff structure and the Northern Nevada APA Championship structure are subject to change. For additional information, please contact the League Office at 775-443-8844 or at sallison@apaleagues.com.